What is beautiful eyelid ? Background: A well-defined supratarsal crease has often been considered attractive, representing a significant component in a beautiful upper eyelid. Approximately 50% of East and Southeast Asian women are born with either a minimal or absent supratarsal eyelid crease. 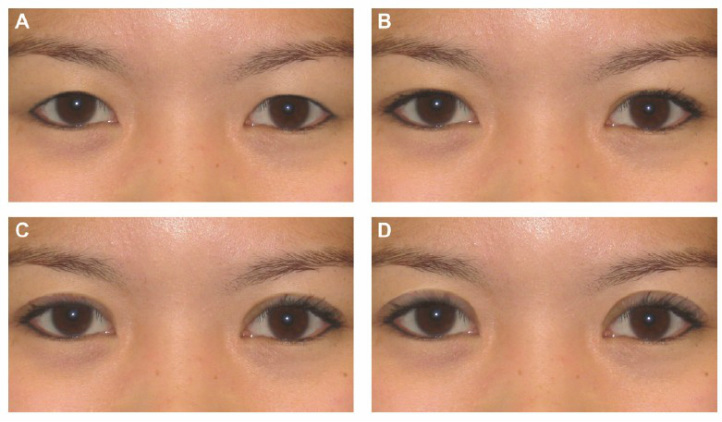 Among people of Chinese descent, the creation of a supratarsal crease (“double” eyelid blepharoplasty) is the most common cosmetic surgical procedure, but no comparative study has assessed the height by which an upper eyelid crease is deemed most attractive and depending on cultural background. Objectives: The authors assess how attractiveness is interpreted by different cultural groups to determine whether double-eyelid blepharoplasty enhances attractiveness according to both Chinese and non-Chinese observers. Results: Both Chinese and non-Chinese observers considered the medium-height upper eyelid crease most attractive (P < .00001). An absent upper eyelid crease was deemed the least attractive (P < .00001). Conclusions: These preference data for eyelid height can be used to better counsel patients on perceived attractiveness and expectations for surgical results, since these results further elucidate which facial features are universally considered attractive. Copyright © 2014 MD Aesthetic Surgery & Skin Centre. All rights reserved.